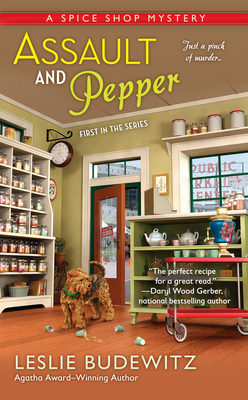 National bestselling author Leslie Budewitz writes the Spice Shop Mysteries (Assault and Pepper) and the Food Lovers’ Village Mysteries (Crime Rib; Death Al Dente). She fell in love with Seattle’s Pike Place Market as a college student, and still misses prowling its streets and alleys, sniffing out tasty treats and sensory delights. Leslie won the 2013 Agatha Award for Best First Novel for Death al Dente, first in the Food Lovers’ Village Mysteries, and won the 2011 Agatha Award for Best Nonfiction for Books, Crooks & Counselors: How to Write Accurately About Criminal Law and Courtroom Procedure. She loves to cook, eat, hike, travel, garden, and paint—not necessarily in that order. She lives in northwest Montana with her husband, Don Beans, a doctor of natural medicine, and their Burmese cat, Ruff, an avid bird-watcher.